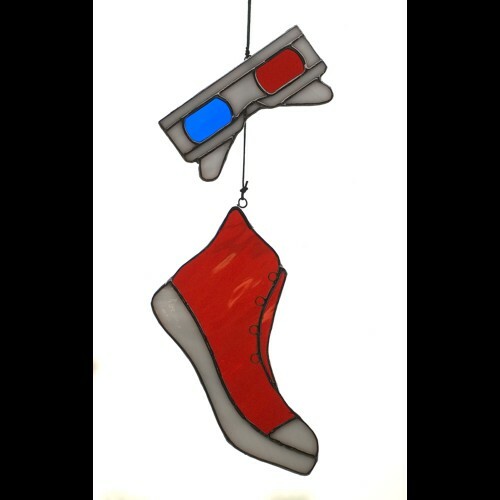 Let the world know with this 3D glasses and red trainer/sneaker stained glass sun catcher set! Shoe measures approximately 5 1/2 X 3 1/2 inches, and the glasses measure approximately 2 X 4 inches.  They have a silver-toned finish, and are attached to one another by a black cord. A loop at the top keeps the items in place when hung from a suction cup (not included).